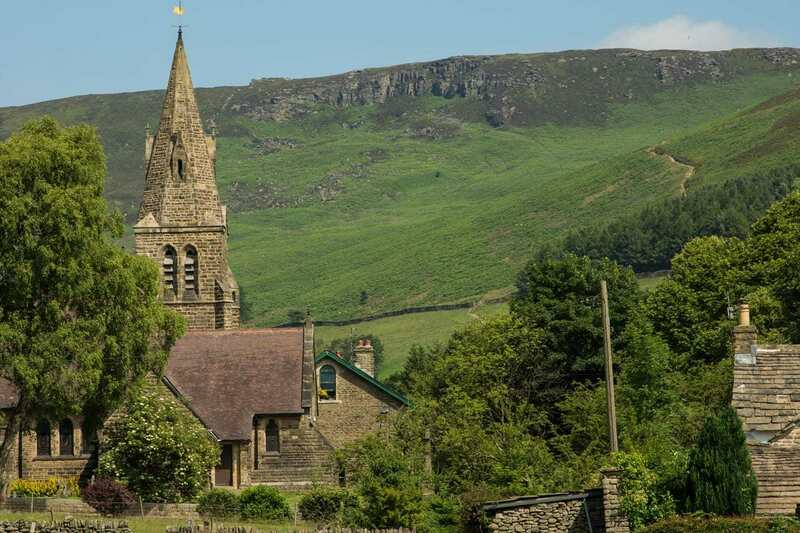 The pretty village of Edale is surrounded by probably the most stunning scenery in the whole of the Peak District. 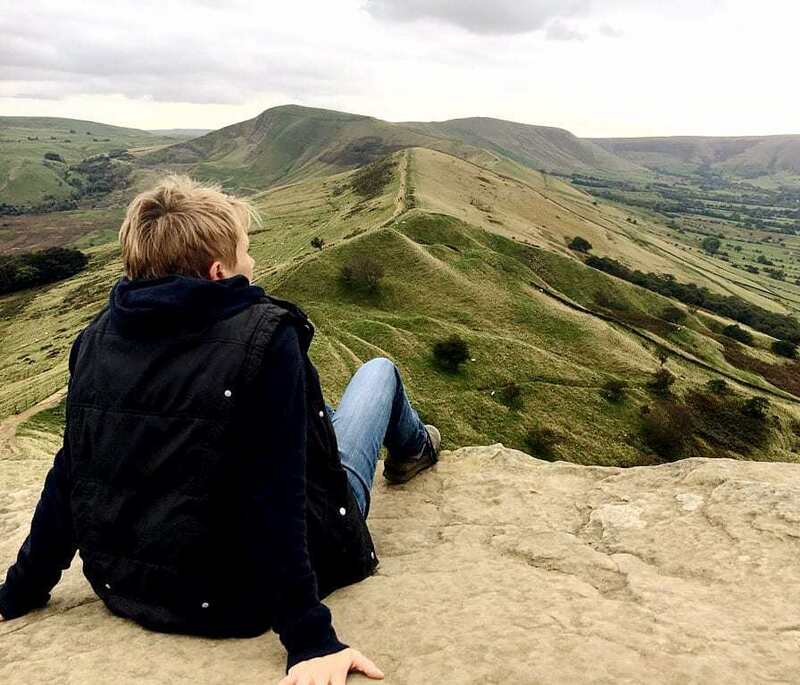 It is circled by the towering slopes of Kinder Scout to the north, the Great Ridge of Mam Tor to the south, Win Hill to the east and Dalehead to the west. Edale is also known to many as being the start or end point of Britain’s most famous long distance hiking trail, the Pennine Way. Edale village itself is small but perfectly formed, with lanes of pretty stone cottages, two very popular pubs, a couple of cafes, and a large number of campsites. The parish church of the Holy and Undivided Trinity, built in the late 19th Century, enjoys a beautiful setting and is well worth a visit. There are also many hamlets, known as booths, that make up this area, including Upper Booth, Barber Booth, Nether Booth and Grindsbrook Booth. Booths were originally established in the 13th Century as cattle farms. When the train line that linked Sheffield to Manchester was opened in 1894, the railway station close to Grindsbrook Booth was renamed Edale, and the name came to be used for all the settlements in this area. Edale also boasts a large Visitor Information Centre, the Moorlands Visitor Centre, which is the flagship centre for the Moors for the Future Partnership. The Partnership aims to raise awareness of why moorland is so valuable, to protect and conserve it, and to lead research into the sustainable protection and management of moorland areas. The team at the Visitor Centre are all very knowledgeable about the area, and will help you get the most out of your time in Edale. For more information, please visit www.peakdistrict.gov.uk/visiting/visitor-centres/edale. 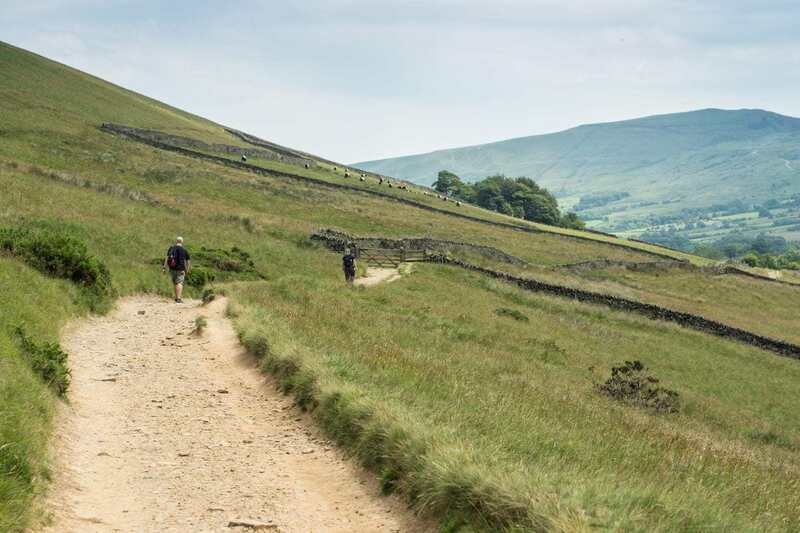 This is true hill-walking and trail-running country; the visitor to Edale can head off in pretty much any direction and explore wild, beautiful uplands, with mighty gritstone summits, moorland streams and waterfalls. 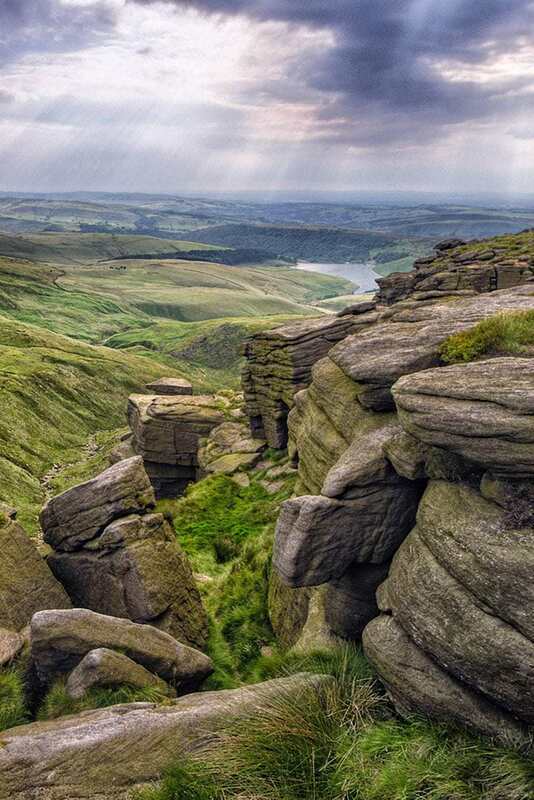 Kinder Scout is the highest point in the Peak District at 2,087 feet high, and the views from its plateaus are awe-inspiring in the truest sense of the words. Walking to the summit from Edale takes the visitor through a wide variety of different landscapes and perfectly illustrates the diversity of the Peak District. 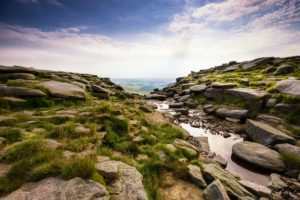 Continuing beyond the summit, it is well worth taking a detour to see the spectacular Kinder Downfall. The River Kinder is on ly a small river, rising in the moorland on Kinder Scout, but on its three mile journey to join the River Sett it crashes down almost 100 feet to create this waterfall, the tallest in the Peak District. When in full flow, particularly when there is a strong, westerly wind, the water blows back up the hillside, and the resulting cloud of spray can be seen from many miles away. Also worth a visit is Mermaid’s Pool, a small pool below Kinder Downfall, particularly if you happen to be out walking on Easter Saturday. Legend has it that the pool is inhabited by a mermaid who will grant immortality to anyone who catches sight of her on that day. A word of caution, please do not venture into the hills around Edale without adequate equipment, including appropriate clothing and footwear, a map and a compass. The Kinder Plateau can be a difficult area to navigate, particularly when you are away from any landmarks. Remember, also, that the weather can very quickly change in this part of the Peak District. On 24 April 1932 a group of over 400 peaceful protestors took to private land across Kinder Scout and joined in a coordinated ‘Mass Trespass’ to highlight the restrictions upon walking in open country. This action led directly to legislation that allowed people to walk freely on access land throughout the United Kingdom. It was also a contributory factor in the creation of the National Parks, the first of which was the Peak District. Each year a group of wardens and rangers from both the National Trust and the Peak District National Park Authority hold a walking event to mark the anniversary of the trespass.